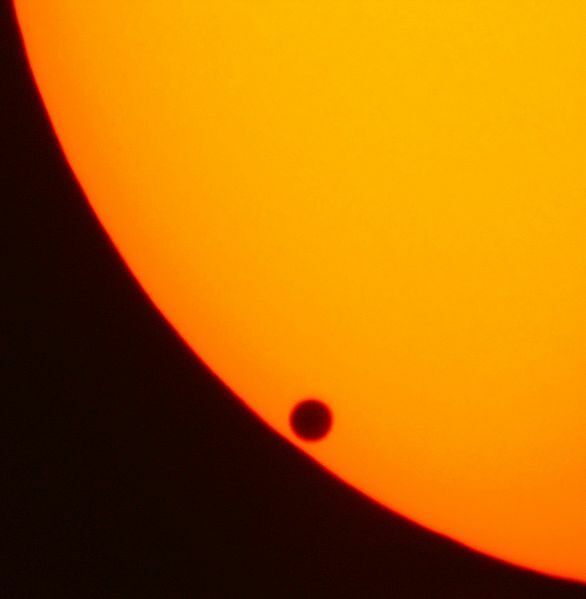 Tonight, I will read my poem “Transit of Venus” at the North Carolina Museum of Natural Sciences as part of the weekly Science Café Talks. The actual planning for this event started in November, but the forces that brought everything together started way before that. Let’s go back in time to July 2011, the beginning of my last semester in my MFA program, when I was developing a lecture on poets with non-literary careers. I knew about Wallace Stevens and William Carolos Williams and was told about Wendell Berry. My list of poets was heavy on the testosterone side, so I decided to Google search for female poets I could include. I came across Rebecca Elson—an astronomer and a poet—found her collection, A Responsibility to Awe, at UNC Davis Library, and was reading it on the DRX (Durham-to-Raleigh Express) bus one morning. Back then, I preferred to sit in the back of the bus on the driver’s side. Next to me sat another regular DRX rider, a science professor at NC State, who leaned over and asked me about the book I was reading. Once I told him that the author was a astronomer, the conversation took off from there (he was a physicist). Fast forward to June 2012—the transit of Venus viewing event at the Natural Resource Center, the newest addition to the Museum of Natural Sciences in downtown Raleigh. I watched this historic phenomenon of the planet Venus crossing between the Earth and the Sun with tons of other people donning protective glasses on the rooftop of the adjacent parking lot, knowing none of us would be alive see the next occurrence in 2117. Two weeks later—the last day of Cave Canem retreat—I wrote a poem about it. Fast forward again to November 2012—the morning wait for the DRX bus. I see my physics professor friend, who tells me that the Museum of Natural Sciences staff sent out a call for topics for their weekly Science Café talks and that he suggested a reading on poetry and science—Would I be interested? Well, of course! I’m only the co-organizer of one of the greatest poetry groups in the Triangle (I didn’t say that exactly, but it was close). And the Living Poetry members did not disappoint. I sent out the call for science-related poems on the 13th, and two weeks later, I had over 50 poems in my inbox. I selected 10 for the museum staff to review and they chose five for the reading. Bringing it home to today—January 24, 2013 at 7PM, Poetry Scope, an evening of science through the lens of poetry. Categories: Lessons Learned | Tags: Double Life, Famous Poets, Poetry Events, Poetry in the Triangle, Poetry Readings | Permalink.